Epilepsy Research | Applications | NIRSOptix by TechEn, Inc. Roughly 50 million people worldwide suffer from epilepsy, with onset occurring most often in infants and the elderly. Patients recovering from brain surgery can also be prone to epileptic seizures, which manifest as spontaneous hyperactive and hyper-synchronous neuronal activity in the brain. When coupled with EEG, near-infrared spectroscopy enables significant insights in the study of epilepsy. EEG alone has long been the gold standard in the study and diagnosis of epileptic conditions but it can be limited in application. In many cases, changes in electrical potential at the scalp do not accurately reflect the activity of cortical neurons, and the technique provides little information about the possibly damaging effects of epileptic discharges on the surrounding brain tissue. 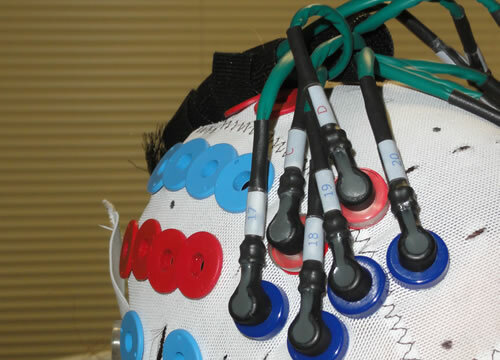 Researchers have reported use of simultaneous EEG and BOLD-fMRI in the study of epilepsy. Here as well, though, there are limitations to the approach: for example, the relatively short amount of time an epileptic patient can undergo measurements - 1-2 hours - which hampers the ability to study the transient, spontaneous phenomena that characterize epilepsy. Using NIRS in conjunction with EEG can help to overcome these limitations. Because it is portable and can be applied for days at a time, the technique is well suited to study the transient, spontaneous phenomena. At the same time, NIRS provides a measure of changes in both oxy- and deoxy-hemoglobin concentrations (and therefore of changes in blood volume and oxygen saturation), and enables estimates of localized changes in oxygen metabolism. Generally, NIRS-EEG allows for the study of the spatial, temporal, hemodynamic and metabolic characteristics of both ictal and inter-ictal epileptic events, and thus offers a promising tool for research in this area. 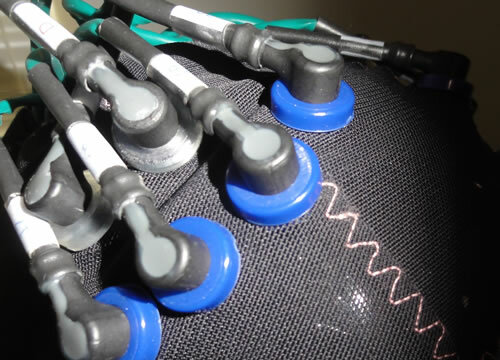 Our technology is well suited to the study of epilepsy, offering both the portability and the robustness needed to explore the hemodynamic and metabolic changes associated with EEG-recorded changes in neuronal activity. 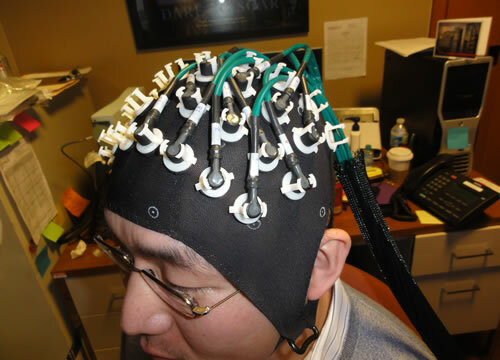 In addition, we have developed EEG-NIRS caps specifically for such application. 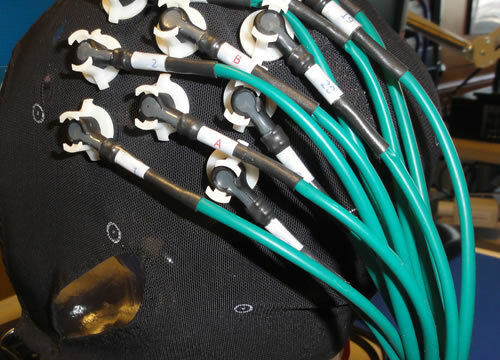 These caps allow EEG recording with a full, clinical arrangement of electrodes while also allowing the NIRS optical fibers to be positioned as desired. Moreover, they incorporate multiple short-separation NIRS channels, which explicitly sample the superficial tissues only (such as the scalp and skull). 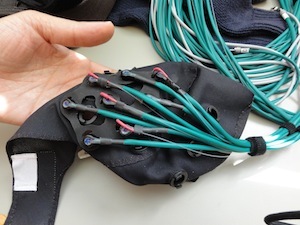 This allows isolation of the NIRS signal from the cortex of the brain. We are working closely with the Optics Division of the Martinos Center for Biomedical Imaging at Massachusetts General Hospital in Boston, which is using the company's instruments to explore many still-unanswered questions in epilepsy research. Other groups have also been using our instruments for NIRS-EEG detection of hemodynamic responses to epileptic activity. See, for example, the NeuroImage paper by Machado et al. listed on the Publications page.